Dragon PendantsThere are 5 products. 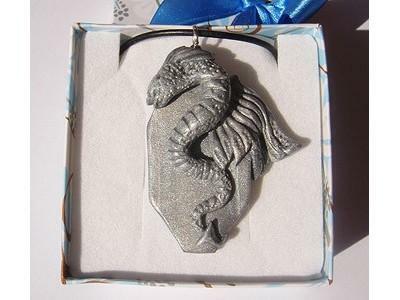 Beautiful dragon pendants are handmade and ooak dragon jewelry for men with special meaning. They have unique symbolism, as they represent power, men's aspect of energy. Dragons are heraldic symbol and many knights from ancient times used to wear them on the shields. By giving these dragon pendants to men, you show them you respect them and understand their value as being a powerful, yet gentle man.